100% natural body oil. Firming, nourishing. Earth Oil is a firming oil for the body. The Green Clay gel, gel of peat, honey, propolis and bees wax and the pure essential oils of Cypress, Lemon, Lavender, Eucalyptus and Thyme have a firming effect on the skin of the body. The pure Sweet Almond, Olive and Wheatgerm oils, naturally rich in vitamin E, nourish and give elasticity to the skin. Preservatives-free. 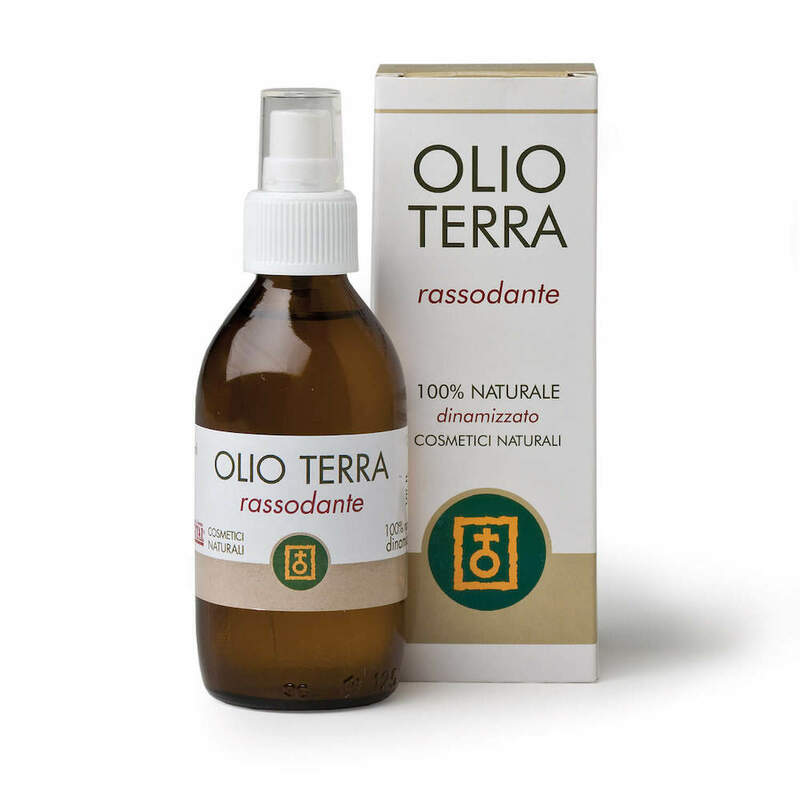 Ingredients: Olea Europaea Fruit Oil, Triticum Vulgare Germ Oil, Prunus Amygdalus Dulcis Oil, Citrus Limon Peel Oil*, Torba, Propolis, Solum Fullonum, Cupressus Sempervirens Oil*, Lavandula hybrida Oil*, Eucalyptus Globulus Oil*, Tocopherol, Mel, Thymus Vulgaris*. *Natural components of essential oils: Citronellol, Limonene, Coumarin, Linalool, Citral. Organic ingredients: Lavandula Hybrida Oil*. DIRECTIONS FOR USE: Using the spray nozzle, apply a generous amount of Earth Oil onto the palm of the hand and massage into the body using using small circular movements in a clockwise direction until completely absorbed. For best results, it is recommended to use after a bath or shower, when the skin is warm and the pores are more dilated.